A wise man once said (well, actually wrote in a poem) "patience is a virtue" and while we may live in a hundred-miles-a-minute world nowadays, this proverbial phrase still rings true - especially if your name is Nokia. Sure, Nokia hasn't had the best of times in recent years, falling from mobile phone superiority quite spectacularly as Apple and Android romped onto the scene in the mid noughties, and while it's taken quite some time to get back up to speed the Finnish firm is almost fully back on track. I can understand frustration from shareholders regarding the company's slow progress, but insinuating that Nokia is on the road to hell smacks of someone looking for 15 minutes of fame. Fingers have been pointed at the operating system that Nokia has chosen to exclusively adopt for all its smartphones, with critics claiming Windows Phone simply cannot compete with the likes of iOS and Android. While that may have been true for the initial iteration of Windows Phone 7 we're now on Windows Phone 8 and it offers a fully packaged platform providing you with everything required for a wholesome smartphone experience - sure it still needs the odd tweak here and there, but what doesn't? It may not follow the app-centric layout of its rivals, but Windows Phone is a breath of fresh air and gives consumers a genuinely decent alternative to the increasingly similar Apple and Google services. Microsoft's mobile baby may still lag behind in terms of market share but it is on the up and with the might of this giant software firm behind it Nokia has a huge amount of support. Once upon a time you wouldn't be seen dead with a phone which didn't bear the Nokia brand, with the likes of the 3210 and 3310 gaining cult status - and it's this appeal which Nokia is slowing reigniting with its current Lumia range. People were unsure when the Lumia 800 and Lumia 900 landed, with a bold, industrial unibody design in a range of eccentric colours breaking the mould of the generic piece of black plastic we'd come to accept as the norm. 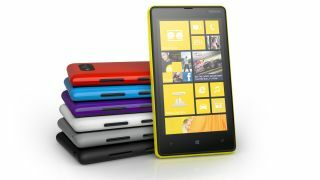 And proof that its design concept is a good one can be seen in Nokia's latest phones with the Lumia 920 and 720 looking almost identical to the first Lumia handsets, and the upcoming Lumia 925/928 appears to be ready to continue this trend. Nokia needs to rebuild its brand and the commitment to a strong, and brightly coloured design ethos will allow the Finnish firm to cement its products in the minds of consumers. It's clear that more and more people are coming round to the idea of owning a Nokia-made Windows Phone with the manufacturer recording its best ever smartphone sales in the first quarter of 2013, and this upward trend is likely to continue as we hear more and more rumours around future handsets planned for later this year. As we've already mentioned the Lumia 925 looks to give the Lumia 920 a welcome boost in the camera and chassis departments, while ongoing reports surrounding the Nokia EOS packing a quad-core chip and 41MP PureView camera could well make it a serious contender for our "best mobile phone in the world today" title. Everyone wants instant results these days - especially the money men - but some things require a little bit more time. Sure Nokia has had more than enough time, but let's not forget "patience is a virtue", and if adverts have taught us anything in the last decade it's that "good things come to those who wait". Hold tight folks, this Windows Phone ride is about to get exciting - finally.